LightBuzz is a worldwide leader in Mixed Reality application development. Microsoft invited us to join the HoloLens booth during this year’s Robotics Olympiad. 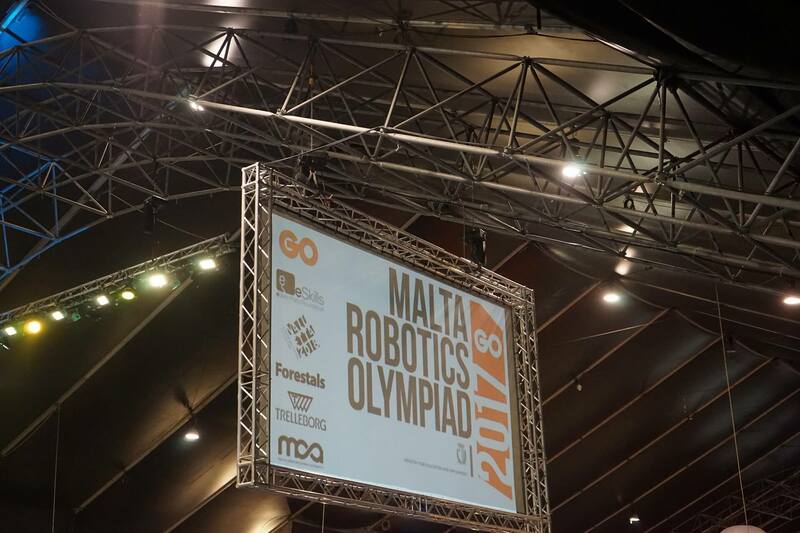 Robotics Olympiad was held in Malta. Malta has the Presidency of the EU Council from the 1st of January until the 30th of June, 2017. During the conference, members of LightBuzz demonstrated some of the HoloLens apps we built during the past few months. 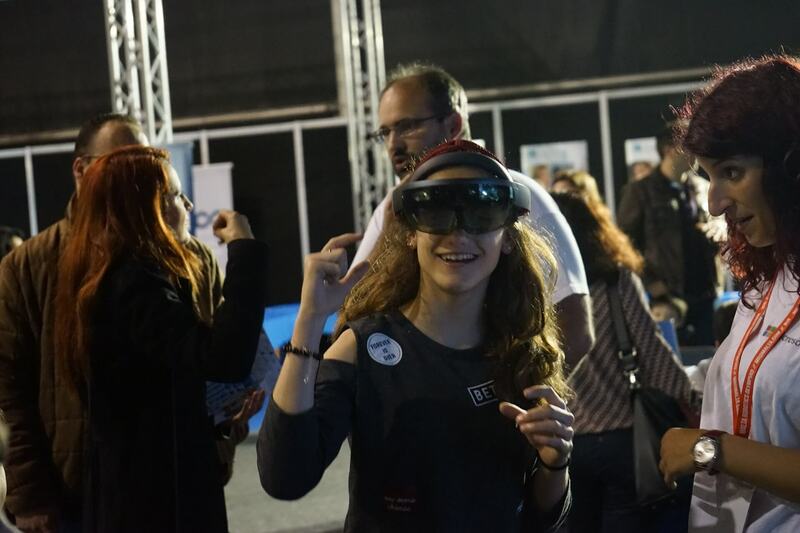 The audience had the chance to immerse into a Mixed Reality experience and get a glimpse of how HoloLens can transform the way we interact with each other. The Microsoft and LightBuzz teams on stage. Special thanks to Georgia Makoudi, George Karakatsiotis, and Michail Moiropoulos. More than 13,000 people attended the conference and joined the booths! Here are some photos from the event. Times Of Malta is featuring an interview of Vangos Pterneas, LightBuzz CEO. 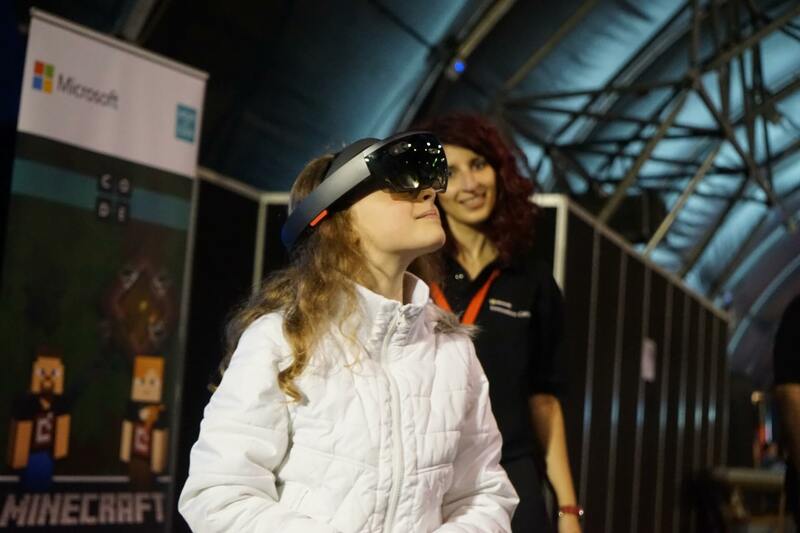 Microsoft Malta is supporting this year’s edition of the Malta Robotics Olympiad by bringing its famed developed augmented reality device HoloLens to Malta. Vangos Pterneas is a co-founder of LightBuzz, a US company that specializes in the development of digital solutions using Microsoft technology and will be traveling to Malta purposely to conduct demos of the HoloLens. We have always been inspired by science fiction. When something seems impossible or far-fetched, it triggers our creativity. In fact, our goal has always been to bring science fiction concepts to real life. This is why we are focusing on motion technology and mixed reality, as a means to give people a new kind of experience. Since 2012, we have been developing cutting-edge applications for big corporations and promising start-ups. During all these years, we have utilized a variety of revolutionary sensors, such as Kinect and HoloLens. “What were the main challenges you encountered as you set up your business? People’s lack of familiarity with concepts such as motion tracking or holograms was a big challenge to overcome because many do not believe such things are possible. In fact, transforming sensors like Kinect and HoloLens into mainstream tools is one of the toughest jobs and this is why our company decided to target businesses. 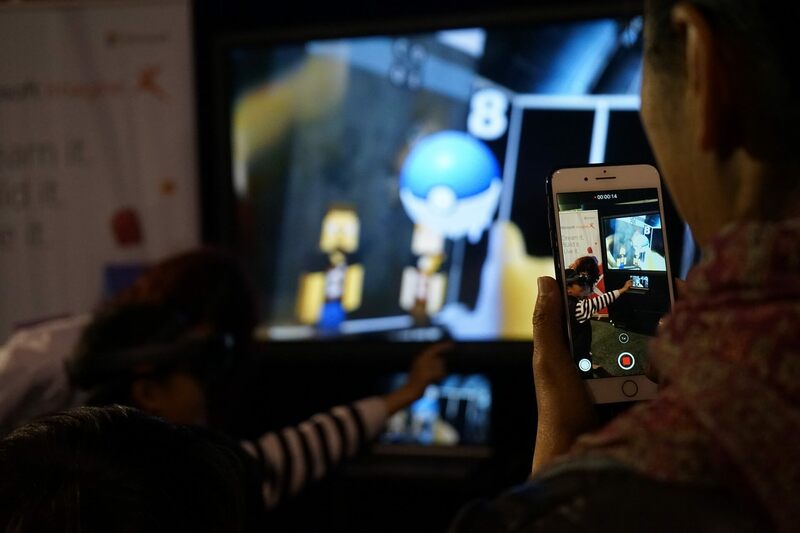 Nowadays we are excited to see mixed reality becoming more accepted and widespread and this technology has become more common and is reaching a broader range of consumers. Today we are collaborating with clients in the healthcare, fitness and retail industries. Our technology is helping these companies provide a better service to their customers, changing the way people interact with computers. We have been expanding our client base and doubling our revenue every year. To better serve our clients, LightBuzz has now officially moved to New York. “How did your collaboration with Microsoft start? 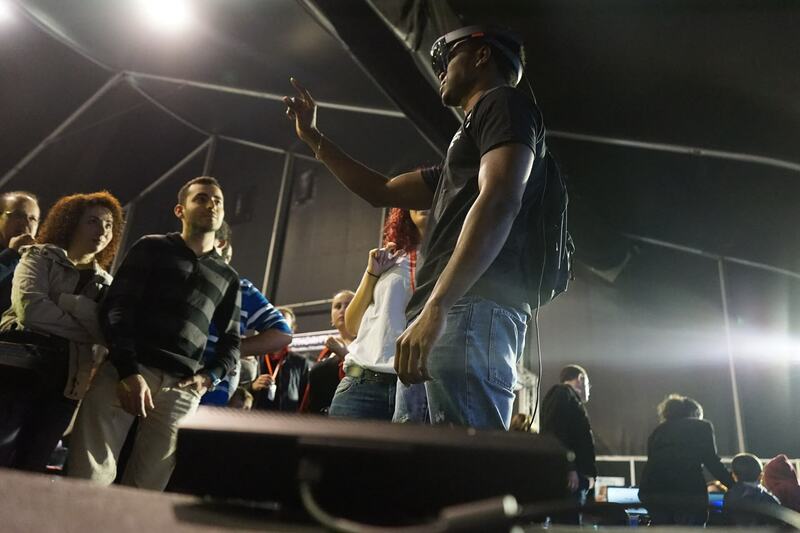 LightBuzz has been a very early adopter of Microsoft technologies like Kinect and HoloLens. We have been providing extensive feedback to make these technologies better. Two years ago, I was proud that Microsoft awarded me with the title of Most Valuable Professional for my technical contributions to the developer community. I had the opportunity to meet amazing people and great professionals, such as Fotis Draganidis, who has been an incredible mentor to me. “How to you look at Microsoft’s HoloLens and what opportunities is this technology presenting to the world? Microsoft HoloLens is a revolutionary device. It’s mixing the physical world with the digital one. Even though we all have seen holograms in science fiction movies, there were no market-ready solutions. HoloLens is a step closer to changing our entire lifestyle: people are able to communicate with computers and humans in entirely new ways and interact with digital objects like never before. “Which companies are mostly reverting to the HoloLens? I can see HoloLens making a big impact in the education field for example. Imagine how safe and engaging a 3D emulation is. Using HoloLens, you can visualize complex concepts and have people interact with virtual objects in the 3D space. So, companies that need to train people or change the way people digest the information will surely benefit from this technology. “Can you mention some organizations who have embraced this technology and successfully adopted it for their business? We all know about Nasa’s Propulsion Lab, an augmented reality exploration of Mars using HoloLens. This holographic app lets you (literally) immerse into another planet. That is just one example. HoloLens is also being adopted by the car industry. Volvo was the first automaker to use Microsoft’s HoloLens where its engineers are exploring virtual and augmented reality to interact with digital models and data during the early stages of the design process. I love the potential of educational projects, such as the HoloAnatomy project by the Case Western Reserve School of Medicine. Holograms could potentially replace educational experiments in lessons like physics and chemistry. In the future, holographic reality will be a default and inexpensive means of education. “How do you feel being in Malta for the Malta Robotic Olympiad 2017 event and how will you be contributing to this event? Being here at this event feels great. I am here with my co-founder of LightBuzz George Karakatsiotis and our product analyst Georgia Makoudi. One of our software engineers, Michail Moiropoulos actually lives in Malta and is also here attending this event. 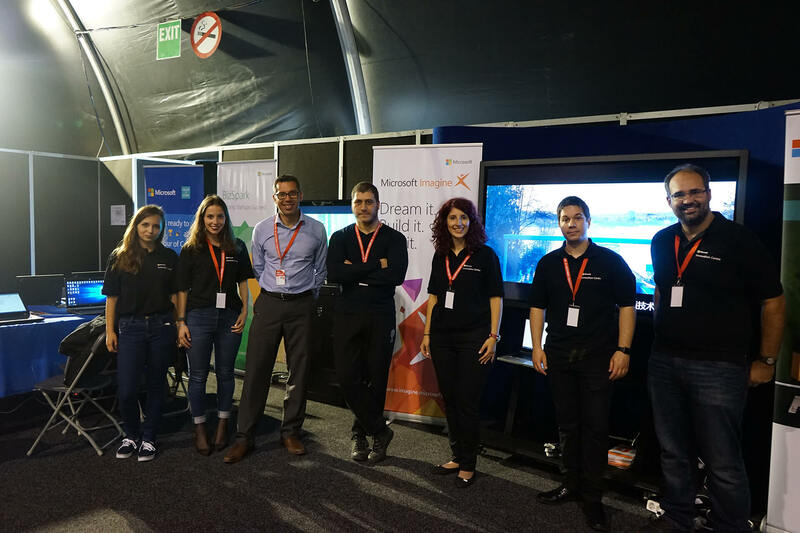 We also feel proud that Microsoft Malta has given us the opportunity to showcase this very recent technological achievement for Microsoft. We plan to deliver a series of demonstrations to showcase different applications of the HoloLens headset to visitors on Microsoft’s booth namely HoloLens start menu and gestures, HoloLens “catch the robot”, holographic face tracking showing how the HoloLens headset and the device’s automatic real-time face recognition, spatial mapping and holographic robots, an interactive game that uses HoloLens and Kinect where players can control the movements of a 3D humanoid robot. Hopefully, our demos will bring more value to the Malta Robotic Olympiad experience to all those visiting this event. LightBuzz has significant experience building Mixed Reality applications that can have an impact on your business. Would you like us to help you create your next Mixed Reality product?